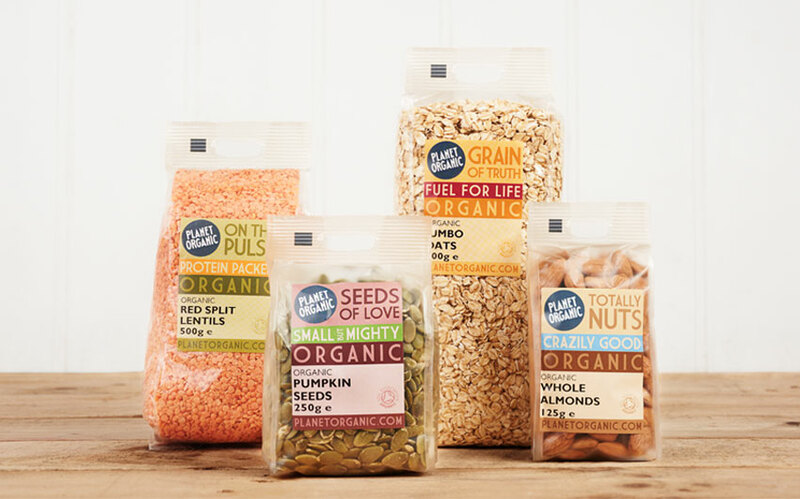 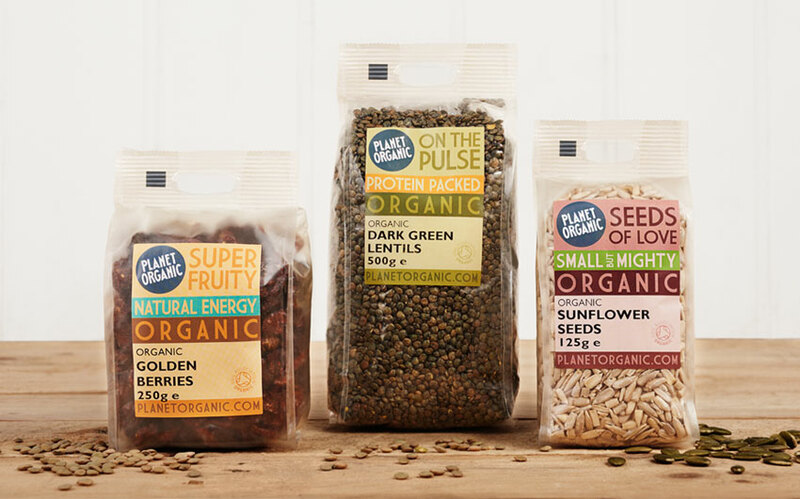 A friendly typeface, striking colour palette and distinctive tone of voice gives the packaging for Planet Organic’s own-label products bags of personality. 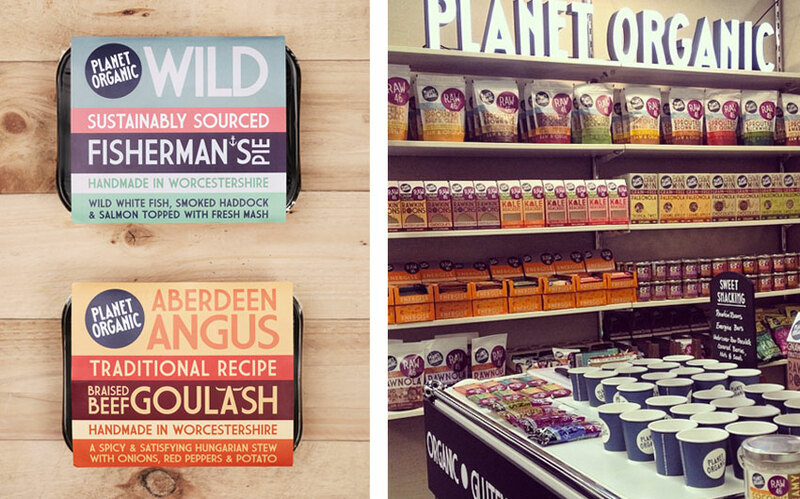 In a store that’s already packed to the rafters with nuts and seeds, how do you create a stand out look for the company’s own label? 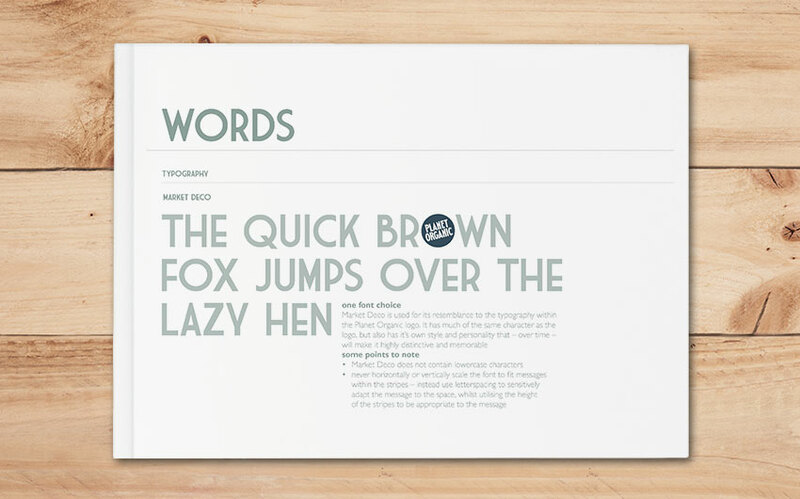 The answer is to keep it simple. 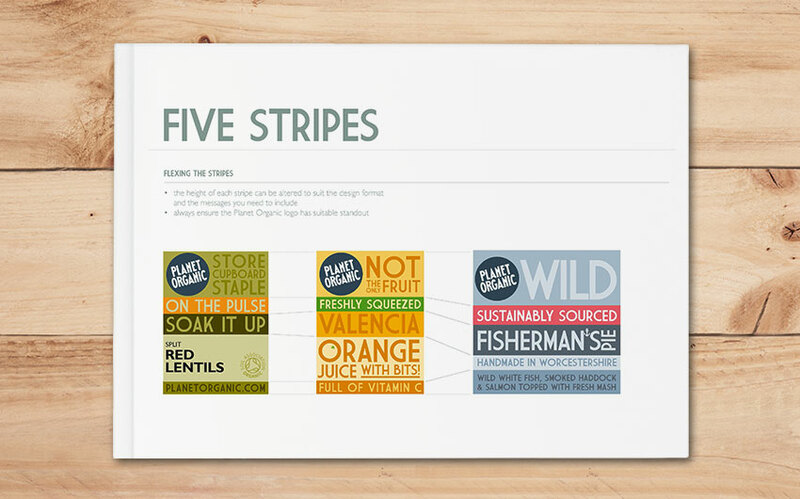 So working with the team at design agency wonderlandWPA, Amanda helped create a distinctive and confident colour stripe design that reflects the products key features. 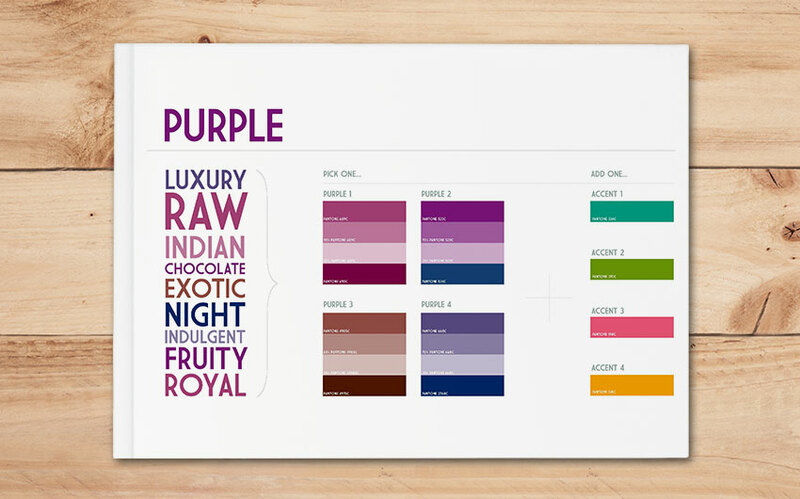 This was coupled with information-rich yet easy to understand labelling in a distinctive tone of voice to give an overall look that’s full of personality and works across all pack formats. 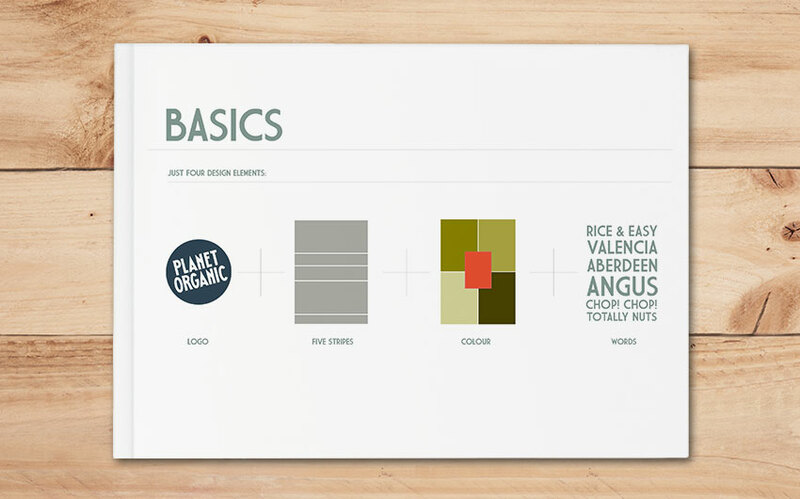 Amanda also produced simple guidelines for easy implementation. 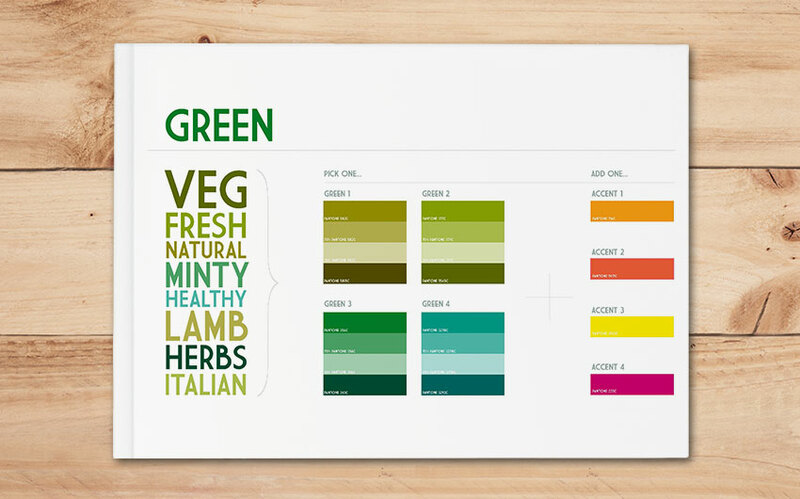 Planet Organic’s new look and feel will be extended across all customer touchpoints, including POS and comms.